One finger easy pull ring. $45.00 All 912 & 914 Equipped. Save time and aggravation with these Pre-fabricated parts for your Series 5,6 or 7 Kitfox. Save up to 100 hours. These heavy duty struts are designed to absorb the shock loads experienced in hard water landings and are completely sealed at all ends to prevent internal corrosion. These struts are now standard on all Kitfoxs being delivered as of 04-01-01. Reinforced Muffler system for the Rotax 912S engine. Now standard in all 912-engine component kits. 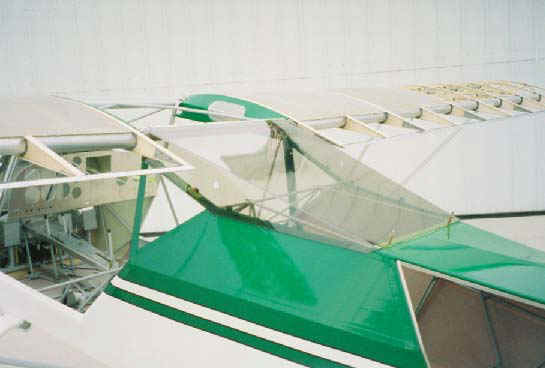 Designed for the tri-gear version of the Kitfox Lite², but suitable for earlier Kitfox’s this new elevator improves flare authority with a full flap, forward CG condition. Designed to replace an existing elevator that is using an electric trim system. Heavy duty tube gear for training applications, now standard on the Kitfox™ Lite² and Classic 4. Reinforced Rudder Pedal Torque Tube Now standard on all Classic 4 and Kitfox™ Lite² aircraft. Replaces the large 8” ATV wheel with a 6" Matco wheel and 8.00-6 tires and tubes. Includes new axels, mounting brackets and all hardware. Improves ground handling and is super strong. Convert your Kitfox Model 3 to a Differential Flight Control System now used on Model 4 and later Kitfox™ aircraft. 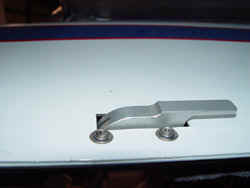 64820.000 Kitfox Lite Door Kit Add doors to your Kitfox Lite. 64869.000 Rotax Coolant Overflow Container Rotax coolant overflow container. Specifically designed for your Rotax engine. 64794.000 Anti-Chafe Tape 3/4"x54' Roll of Clear UHMW anti-chafe tape to protect your Kitfox.